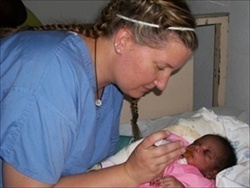 Clinicians of the World is now recruiting healthcare professionals to volunteer for short-term Medical Trip to Haiti. The need for medical professionals and quality healthcare workers who can volunteer their time in Haiti has reached desperate proportions. The team will provide health education and medical care to men, women, and children in remote areas of Haiti where there is little or no access to basic medical care. Medical teams participate in mobile field clinic and also provide assistance to existing healthcare facility in Grand-Goave, Haiti . Clinicians of the World medical teams see on average 150-200 men, women, and children per day. They also provide specialty consultation and health education to Haitian Medical professionals to help build personnel capacity to meet Haiti's long-term healthcare needs. Physicians, Nurse Practitioners, Physician Assistants, Nurses, Pharmacists, and Clinical Assistants. Non Medical Volunteers are also needed to help with construction projects at our medical facility, building homes for displaced families in remote villages, assist with set up and take down of mobile clinic, greet and direct patients, register incoming patients, translate, etc. Volunteers will be placed according to their gifts and abilities. January 19-26, 2019, with overnight layover in Miami or Fort-Lauderdale on Friday January 18, 2019. When you book your flight on www.aa.com, please input our Business ExtrAA miles account # 913902 in section provided on the Passenger Details to help support our fundraising efforts. The team will fly together on an early morning flight (typically American Airlines) from Miami into Port au Prince. Airfare + Ground cost of $650, which covers in-country lodging, food, ground transportation, translators, and mission essentials. 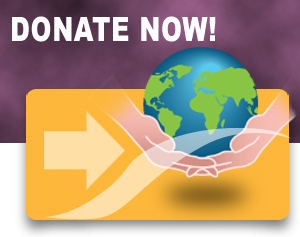 Your trip expenses are tax deductible, and we offer great support to help you raise all the money you need for the trip. - $100 non-refundable deposit and a signed application are required to reserve your place on this trip. - 50% of total payment is due 90 days prior to departure date. - 100% of total payment is due 30 days prior to departure date. A valid passport. is required for travel outside the United States. All team members must travel on the same flight from Miami to Port-au-Prince. Volunteers are responsible for making their airline reservations. It is best to purchase your tickets as soon as possible to obtain the best rate. Upon your arrival to Haiti, you will be well cared for by our partner organization field staff from the beginning to the end of your mission experience. All ground transportation and room/board in Haiti will be arranged and organized by Clinicians of the World staff, including preparing the itinerary for the team's mission. The team will stay at Heart to Heart's guesthouse in Grand-Goave, Haiti, about 2 hours drive (southwest) from Port-au-Prince. Assisting with a medical mission trip requires the ability to travel for up to seven consecutive days in third-world conditions. The Heart to Heart's guesthouse is comfortable and secure, although it does lack air-conditioning and hot water. Mission trips are both physically and emotionally exhausting, although they can be incredibly rewarding and unforgettable both for the participants and the people they help. Our teams are typically limited to 25 volunteers, on a first come basis. If you are interested in being a team member on a Hope for Haiti Medical Trip, please complete and return the mission team Application Form to us to reserve your spot. If you are not able to volunteer, we still need your help – please make an investment in hope by donating or sponsoring a volunteer, collecting shoes, toothbrushes, toothpastes and soaps, zip-lock bags, and medical supplies.